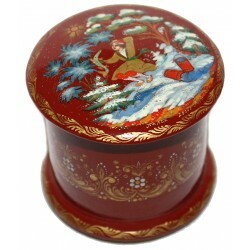 This smal, but deatiled box is a creation of Kholui artist, Svetlana Baburina. 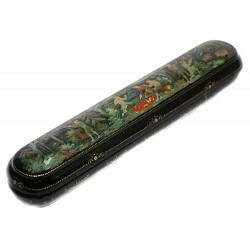 The work is called "Hunting" and shows a Russian Princes hunting accompanied by their suite. 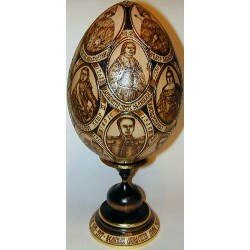 This huge Easter egg has been created in the ancient Russian town of Sergiev Posad by the talented master Oleg Listunov . 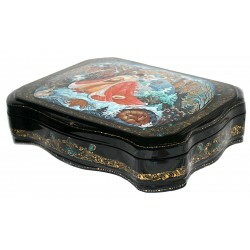 Talented artist Kuznetsova Marina is the author of this small round Palekh box. It shows a recognizable moment from the popular Russian fairy-tale "By the Pike's Will" or "Emelya and the Magic Pike". Here we can see Emelya who has caught the magic pike. In return for releasing her, the Magic Pike offers to fulfill Emelia's wishes. 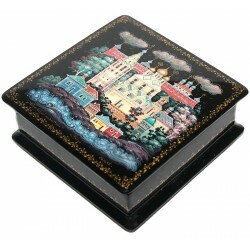 Talented artist and a teacher from the village of Fedoskino Golovchonkov Oleg has created this attractive box. It features the portrait of a sit girl. Exceptional technique and masterful skill are needed to create this work. It is as entrancing as it is traditional. 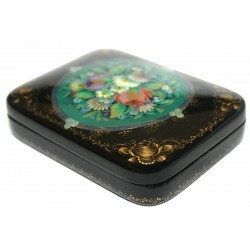 This small box has been painted by the talented Palekh artist Kut'kin Anatoliy. 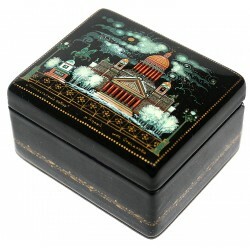 This elegant box has been painted by Larisa Olisova. Here she has drawn the portrait of Lady in a Hat.The portrait is drawn against the light blue background. Silver powder shines through the bows that decorate the woman's dress and feathers on a hat. 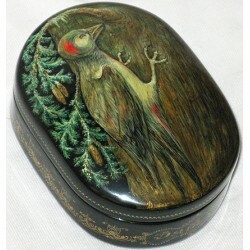 Artist Stolyarova from the village of Kholui has created this small attractive box. It shows the St. Isaak's Cathedral that is the main church in St. Petersburg. 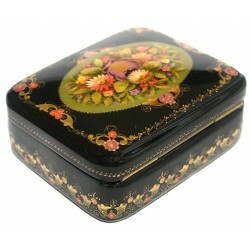 This box is a splendid creation of Nina Matyushkina from the village of Palekh. Few words exist that can effectively describe this excellent box by Fedoskino artist Alexander Kriger. This attractive piece was created by Yuriy Zhigalov of Mstera. Inspired by an old Mstera master Yevgeniy Yurin, Zhigalov displays ability which is skillful as well as passionate. 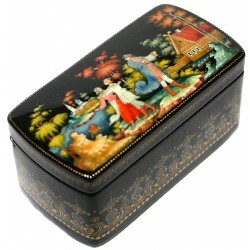 This box was painted by a talented Kholui artist Yudakina Olga. 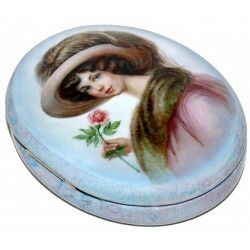 This attractive box has been painted by the talented artist Larisa Mazurina. 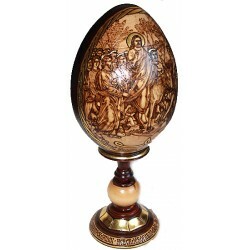 This beautiful glass-holder was painted by talented artist Providokhin from the village of Fedoskino. 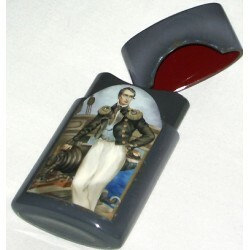 It portrays admiral Kornilov standing on shipboard. 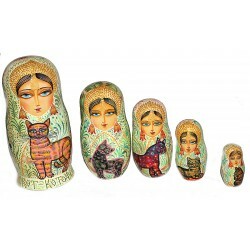 Matrioshka "Tale of Tsar Saltan"
This festive set of nesting dolls is an original author work of Nadezhda Romenskaya. The set includes five brightly colored, wooden dolls. Each of five dolls has the same neatly painted face and wears a beautiful Pavloposadsky shawl. 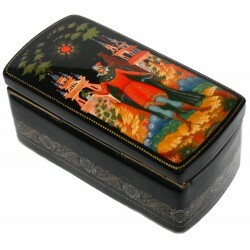 This pencil-box shaped box was painted by the talented Palekh artist Vladimir Bogdanov. 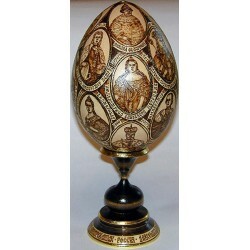 It shows several scenes from the Russian style hunt. It is a Russian tradition to drink some alcohol during the hunt(before or after). Here we can see two different types of hunt-for a wild pig and for the bird.In the middle- hunters are having a break. 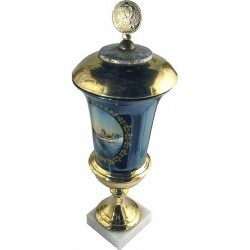 This cup is a unique specimen of Fedoskino lacquer painting. Please let us know if you have any questions about this box.